IMPORTANT: Light Cast Media has no control over the quality of output or ad placement in Facebook Live or YouTube. Facebook may input different ads at different points in your broadcast. Light Cast Media has no control of the content or placement of these advertisements. it is strongly recommended that you DO NOT broadcast your entire worship services to Facebook Live or YouTube. Both systems have music detection systems in place. If either service detects potentially copyrighted music during your services, they will stop your broadcast and/or suspend your account. We also strongly recommend providing a link to your website as part of your post so viewers may watch your entire service should your Facebook feed become interrupted by advertisement or content filtering. First, get your stream set up using our live transcoder. Next, create your Facebook publish point. 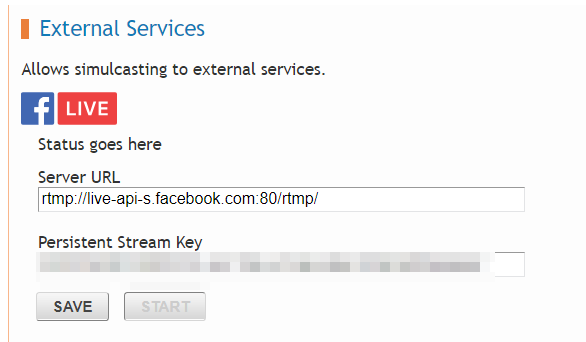 Make sure that “Use a persistent stream key” is checked. 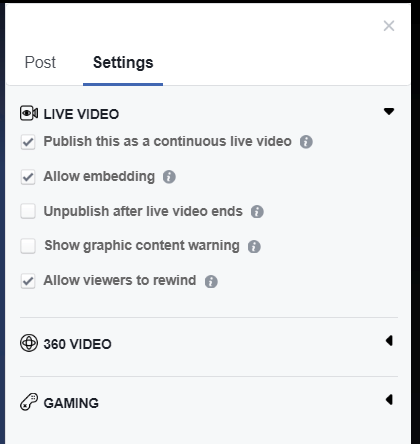 Select “Publish this as a continuous live video”. 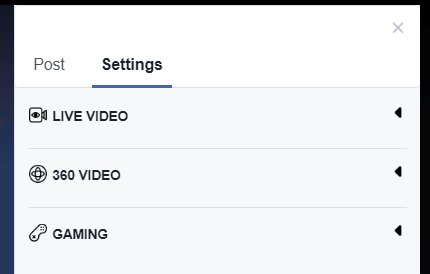 This will prevent Facebook from storing your stream, but also reduce the chances that copyrighted music will be detected, which could result in suspension of your Facebook page or account. Click “External Services” to expand. A few minutes before your sermon begins (near the end of any music), click “Start” under External Services. 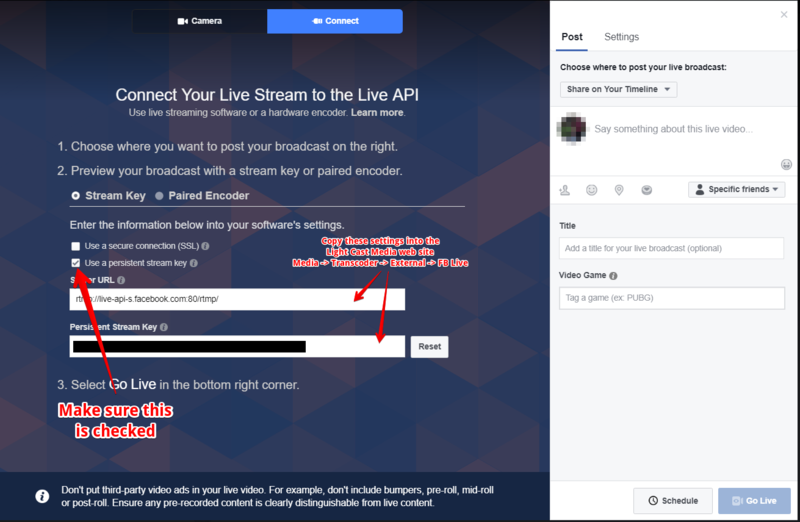 Go back to Facebook and create a Live post or preview your scheduled post. You should see a preview of your stream 10-30 seconds after you clicked “Start” from the Light Cast Media site. When you are happy with the starting point, click “Go Live”.